How to watch White Bird in a Blizzard (2014) on Netflix Argentina! Sorry, White Bird in a Blizzard is not available on Argentine Netflix, but you can unlock it right now in Argentina and start watching! With a few simple steps you can change your Netflix region to a country like France and start watching French Netflix, which includes White Bird in a Blizzard. We'll keep checking Netflix Argentina for White Bird in a Blizzard, and this page will be updated with any changes. 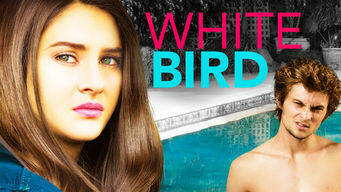 White Bird in a Blizzard is not available in Argentina BUT it can be unlocked and viewed! When 17-year-old Kat Conners's mom, Eve, vanishes, the teen relishes her newfound freedom -- until the reality of her loss sets in. A midlife crisis made her mother leave home. Or did it? There might be more here than meets the eye. There is a way to watch White Bird in a Blizzard in Argentina, even though it isn't currently available on Netflix locally. What you need is a system that lets you change your Netflix country. With a few simple steps you can be watching White Bird in a Blizzard and thousands of other titles! Watch "White Bird in a Blizzard"